ETFs vs. Mutual Funds: Which Is the Best Choice for You? When it comes to building wealth for the long-term, it’s a good idea to start investing early, diversify your portfolio, and keep your costs low. One way to do this is to invest using funds. For years, mutual funds have been providing a way to diversify your holdings without the need to pick individual stocks. 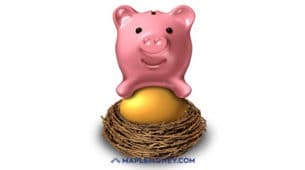 However, mutual funds can sometimes be expensive, with management fees and exchange ratios that take a bite out of your returns. The entrance of exchange-traded funds (ETFs) over 25 years ago changed things up a bit. If you’ve been investing in mutual funds for a while, it might be worth your while to consider focusing more on ETFs. Like mutual funds, ETFs offer access to a mix of stocks and bonds. It’s possible to get ETFs that reflect various indexes, like an all-world index or an all-Canada index. You can also find ETFs that share characteristics, like being dividend stocks or focusing on a particular sector. There are also bond, model-based, active and factor ETFs that include bonds or other asset classes. iShares has their Core ETFs, which are a suite of ETFs that include various asset classes and strategies. However, unlike mutual funds which have to be traded in a certain way, ETFs can be traded like stocks on an exchange. They are easy to trade, plus ETFs disclose their holdings daily so you can see exactly what you have overall. Because ETFs offer broad-based diversity within a single security, it’s possible to use a few key ETFs to create a portfolio that is allocated to meet your long-term financial needs. You get instant diversity and ease of trade. It’s hard to beat ETFs when you’re putting together a portfolio. For example, iShares ETFs from BlackRock Canada offers more than 110 fund choices that cover Canadian, U.S., and international stocks and bonds. You can put together a complete portfolio of three and five funds and have the asset class and geographic diversity you need to help manage risk. 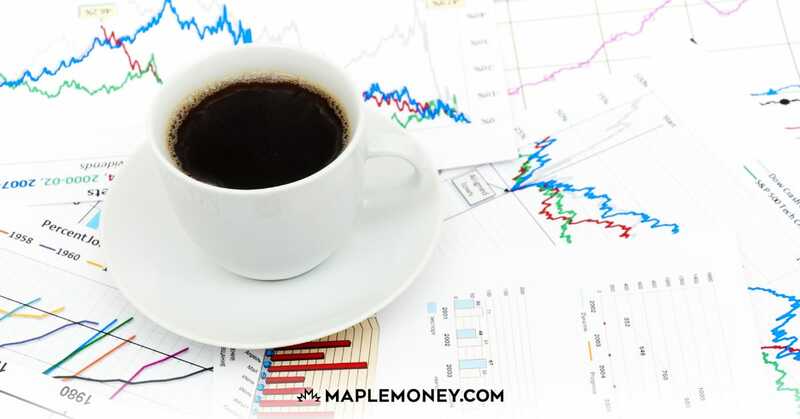 Kornel Szrejber was a guest on the MapleMoney Show to share his experience with active mutual funds and his move to passive ETFs. Click play to learn more about the benefits of ETFs. One of the biggest advantages of ETFs is they are cheaper than mutual funds. Some mutual funds cost two or three times what it costs to trade a stock. But where you potentially stand to gain much more is over time through savings in expense ratios and other fees. Many mutual funds come with a host of fees. You could easily find yourself spending between 1.5% and 3% of your fund’s value on fees each year. That doesn’t seem like much, but the reality is that it can be a big deal over time. Think about how much more money you would have if those fees, instead of going to someone else, remained in your account and continued gaining interest. Over a period of 20 or 30 years, you could earn hundreds of thousands of dollars less. With an ETF, though, you are likely to pay much lower fees. Many ETFs charge less than 1% in management expense ratios. ETFs are cost-effective, and allow you to keep more of your money over time. If you lean toward ETFs, you can pay some of the lowest expense ratios. Plus, with an ETF, you get the benefit of investing in a wider swath of the market. So, instead of having to pick individual stocks or relying on an active manager, you have the chance to access market gains to reach your goals. One of the advantages of ETFs is that you can get started for a relatively small amount of money and then set up automatic investments for regular purchases using a discount broker that offers commission-free ETFs. You can use ETFs in a variety of accounts. In fact, they can make great additions to an RESP, RRSP, or TFSA. And, of course, you can include them in non-registered accounts. When you follow time-tested principles of asset allocation, it’s easy to use ETFs. You can start with mostly stock ETFs and then gradually change your allocation to bond ETFs as you approach your goal. For a strong foundation, it’s good to have a mix of stocks and bonds. Bonds carry less risk, so they are a good balance and diversifier to a portfolio. Using iShares Core ETFs can help you set up your allocation in a way that can help you move forward. Understanding how to put your portfolio together and rebalance it over time can lead to better results down the road. And using ETFs makes it simple and inexpensive. For best results, set up an automatic investment. Decide how much you can set aside each month and then be consistent. As your financial situation improves, you can even boost your contributions. And, because you know you are paying lower fees, you can feel good about how much your money is compounding over time. Because investing is so much more accessible today than at any other time in history, it means you have the opportunity to grow your wealth over time. It’s possible to invest online, set up automatic investments, and invest with confidence. Because you know you are getting a collection of stocks and bonds, and because you know the fees are low, you can feel better about getting started, even if you are a beginner. Using ETFs allows you to adopt a buy-and-hold strategy without the performance drag of high MERs. With ETFs, you have instant diversity, which protects you from any one problem dragging your portfolio down. The earlier you start investing, the better off you’ll be in the long run. The longer your money has to work for you, the more dramatic your results. Start with an index ETF that follows a large portion of the market, and you can see market-tracking gains. You don’t need to beat the market to be successful over time. As long as you keep pace, you are likely to meet your goals. This post has been brought to you in partnership with BlackRock Canada. All thoughts and opinions are my own and do not necessarily reflect the views of BlackRock Canada. I started out with mutual funds when I was younger for the simplicity.Then as my portfolio grew large enough to allow diversification and I opened my eyes to the fees – I moved to individual stocks. Some would argue that if you have a large enough portfolio that individual stocks are the way to go. However, having been there, I have to agree that ETFs are a great option (which I now use instead of stocks). Even if you have enough money that you could have a diversified portfolio with stocks, it is so much easier to keep an eye and rebalance a few ETFs than a whole basket of stocks. Plus, you have much more diversification (lowering your risk) for a fee way smaller than paying an active manager would be. Low fees and simple – wish I had learned that lesson earlier in life. Thanks for your blog hopefully helping people take a shorter route there. Wouldn’t it be better to invest in a low cost index fund instead of an ETF? Less fees. Hi Barbara, I used to invest in TD e-Series Funds, but many discount brokers are now commission free when buying (and sometimes selling) ETFs. I use Questrade, but there are other options like Scotia iTrade and Virtual Brokers. I prefer and own dividend growth stocks but my preference, outside of stocks, is mutual funds over ETFs. I especially like several of the Mawer funds. Hi Michael, I buy ETFs commission-free with Questrade. Once online brokers began offering commission-free ETFs, it really tilts things in their favour.